There’s a special time coming, a time when conditions are perfect for harvesting a giant whitetail buck, I call it “Red October”. In the past few weeks I talked about hunting the Opener and the October Lull, both have there own unique characteristics and offer the hunter an opportunity to tag a good deer, but I believe they pale in comparison to the last 10 days of October! I have had without a doubt, my best luck at shooting Monster Bucks during this period, including all 3 of my 200” deer, and I believe there’s solid reasoning behind it which we will discuss. The October Lull…..sounds a little depressing doesn’t it! Not nearly as popular a word with whitetail hunters as something like “The Rut”! Probably because it is just that, a lull in activity that happens somewhere between the first week of October and ends a week or so before Halloween. But what’s really happening during this time, are deer not moving because of hunting pressure or the warm temperatures that seem to linger longer into hunting season every year, maybe? It’s definitely a tough time to hunt when you compare it to say, mid-november, when deer are going crazy and bucks are on the move non stop. I’ll tel you one thing though, after spending 30 years chasing deer with a stick and string, I’ve learned a thing or two about hunting big bucks in October and the October Lull is not the time to be sitting at home watching dvr’d episodes of Lee and Tiffany! My Favorite Month of the Year for Giant Whitetails! 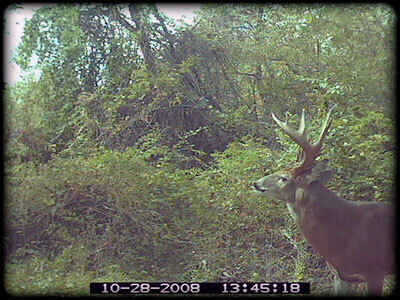 If I had to pick my favorite month to hunt “Monster Bucks” it would have to be October! Yeah, you heard right, October, not November. I have had my best luck in October and harvested all of my biggest bucks including all 3 of my 200” deer prior to Halloween. There are a few good reasons for my success during the early season, and I’m going to break them down for you and I’m also going to separate this special month into 3 individual phases over the next few weeks and take a close look at them all. I like to break down the month into: The Opener ( obviously the beginning ), The Lull ( basically after the first week and up to the 20th give or take), and Red October or the last 10 days of the month. During this period here in the midwest, there are a lot of changes going on, almost on a daily basis, with both deer and their habitat. Each phase takes a little different approach and there can be some last minute changes that have to be made in your set ups, but above all else you have to be as sneaky, scent free, and as careful as you possibly can not to blow your cover with a big buck! October can be a great time to kill a monster, but it may be the most difficult too. 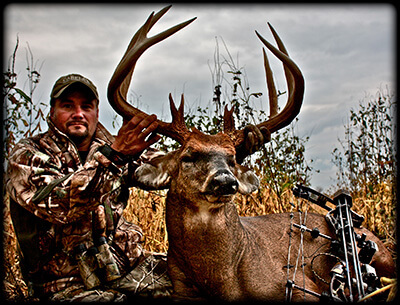 [Read more…] about My Favorite Month of the Year for Giant Whitetails! Bumping Mature Deer on Purpose??? 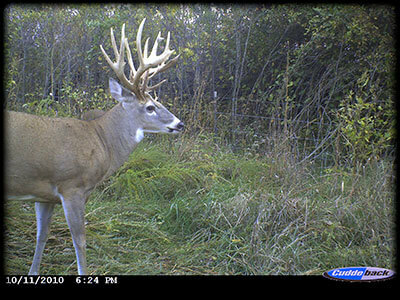 Is it ok to spook a mature whitetail? If you do, what will happen? Will he turn nocturnal or leave the area completely never to return? Is there ever a good time to spook a big buck? All good questions and I wish there was a definitive answer. I don’t believe that if you do happen to jump a big buck from his bed that he will immediately become nocturnal or leave the county entirely! My whole approach to hunting big bucks is all about surprise, stealthy observation, entering and exiting my stands secretively and not letting a big buck know I’m after him. 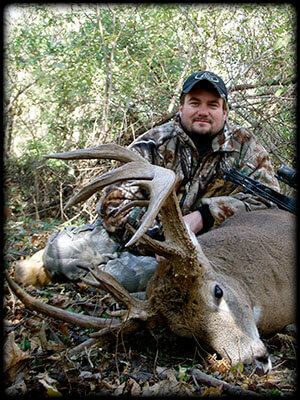 [Read more…] about Bumping Mature Deer on Purpose?? ?